Stewart's was founded back in the depression era by Emmett Stewart and Daughter Dorothy. Back in those days everything was locally raised, slaughtered, and sold at country meat markets. Obviously things have changed. Those old meat markets have all but disappeared--but not Stewart's. Much of the beef is from Stewart's own herd, and the pork mostly comes from near by. The smoked meats all are made from old secret family recipes. Ask the thousands of Stewart's loyal customers...these treats are unique and delicious. The prices are always fair and affordable. If it's for everyday meat loaf fixings, hamburgers, and smoked meats, or fancy foods like New York and T-Bone steaks, Hams, and Rib Roast, Stewart’s will have the very best for you and your family. Don't forget all the specialty meats that Stewart's offers. 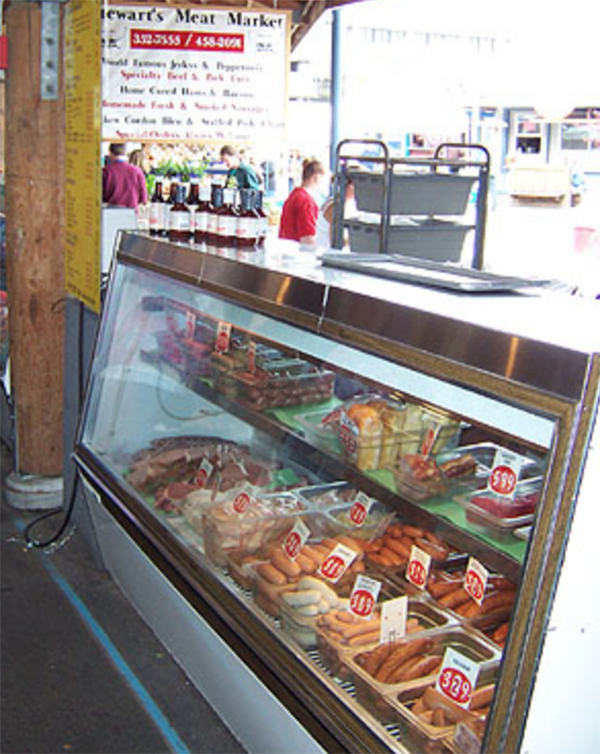 Prize winning Jerkies and Pepperonis in a large variety of meats, styles and flavors await you.